The Quest to Finish Stuff! So I had my *mumble* birthday this spring, and it occurred to me that there is quite a lot I haven’t done. Namely, finish a few things. Oh, I’m great at starting projects. Really. I’ve spent countless hours reading about various subjects in which I am interested, and I’ve amassed a great deal of crap related to activities surrounding those interests. You know I’ve spoken about getting sucked into research. Case in point: dolls’ houses. I love them. I’ve had several as a child. As an adult, I got interested in historical baby houses and finely crafted minatures not meant for playing. The cabinet houses and baby houses were specially built for adult collectors; they also served as illustrations of idealized household furnishings and appointments. Children were not allowed to touch them. While my mini skills are far from masterful, I remembered with fondness decorating my favorite dolls’ house, which my uncle made for me (and which I still have). I acquired kits and some already assembled houses and room boxes, and a ton of craft supplies and even ready-made miniature furniture, fittings, accessories, etc., and another ton of used ones. I bought and read many books on the subject. 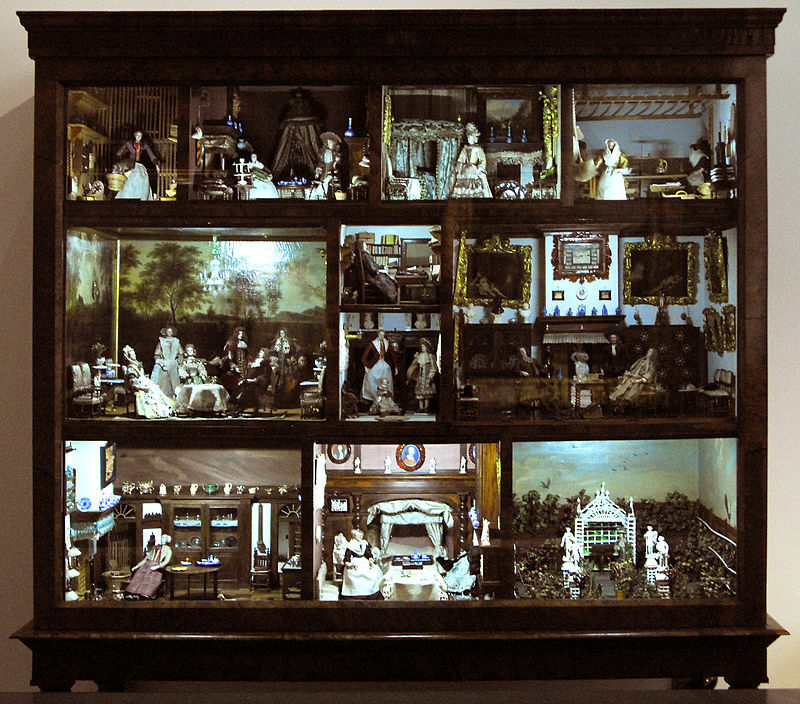 English dolls’ houses are typically fully enclosed and the front wall or walls opens like a door. American doll’s houses are backless. I have begun three houses. I have finished none. 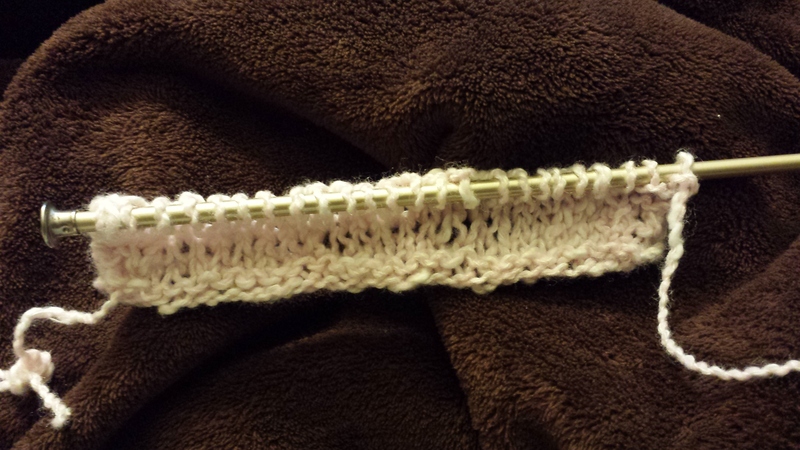 I started knitting a washcloth for my mum (learning how to knit). I have not finished that. It’s actually pink. And pathetic. I began writing Secret Book and even traveled to London to look stuff up for it. It’s not done either. The actual calendar year is drawing to a close, but I still have a long time before my next birthday, so I’ll go by that. This is the Year of The Quest to Finish Stuff! I have many items on my list of crap I always wanted to do. It’s not quite a bucket list. So far, I’ve done the Bob Ross painting. I liked that–it might happen again. At least ONE complete dolls’ house and one room box. That means fully decorated, wired, and furnished; occupants are optional. Four placemats (for desk lunches)–two each for my coworkers that I promised them last year. Oh, and one for myself that I cut out but never sewed. I may add to this list as items come up. I’d like to publish something this year, either an actual book or in an actual publication that you may purchase. I’d like to at least begin the sequel to Rose’s Hostage, and I have a doozy of a third-book case for Detectives Pierce and Rossberger to plunge into when they’re done mucking about with Joshua Rose and company. Bucket items, like swimming in bioluminescent ocean water, looking through a huge observatory telescope, and visiting the Himalayas, will have to wait until I’m flush again. That could take a while, at this rate. I’m quite sure it will happen. 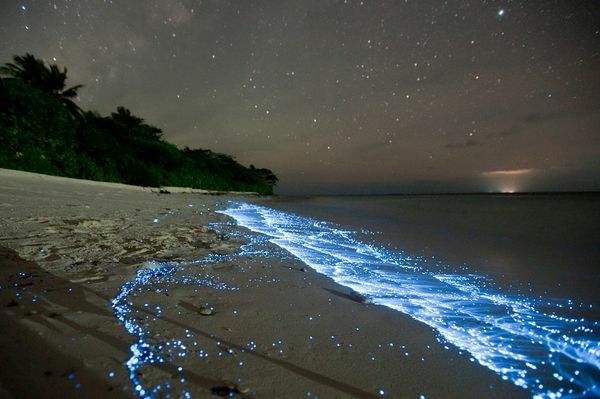 We dinoflagellates are excitedly waiting for you.